Simplify the process of tracking your mileage. Is there a better alternative to Miles? Is Miles really the best app in Applications category? 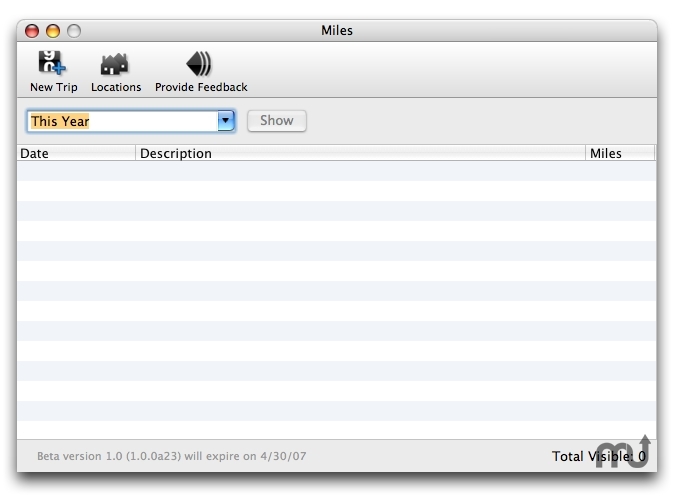 Will Miles work good on macOS 10.13.4? Miles ... Most of the Mileage tracking applications are difficult to use and encumbered with useless features. While some people might need all the bells and whistles, Miles intends to simplify the process of tracking your mileage. Did you know that most people say that they don't track their miles because it isn't easy enough? Well, we believe that Miles will put an end to that excuse. We develop software that is easy to use, and we value your feedback. Version 1.1.4: Release notes were unavailable when this listing was updated. Miles needs a review. Be the first to review this app and get the discussion started! Miles needs a rating. Be the first to rate this app and get the discussion started!